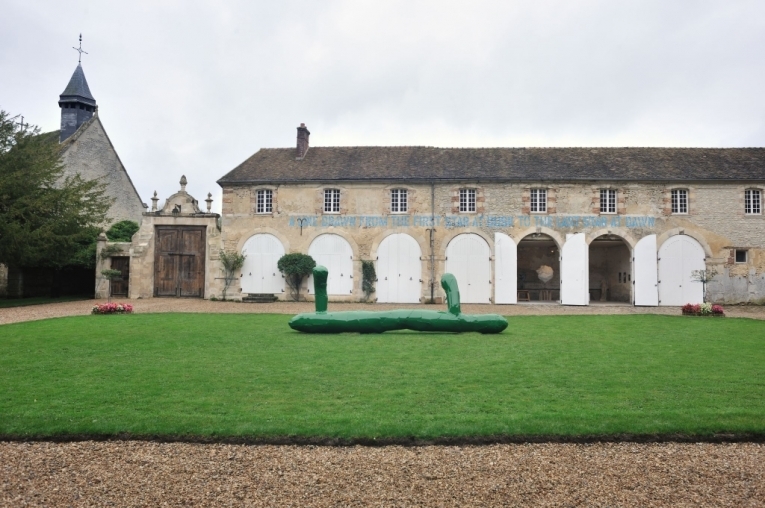 On the occasion of the first public opening of the Château de Boisgeloup, the Fundación Almine y Bernard Ruiz-Picasso para el Arte is pleased to announce an exhibition of new sculptures by American artist Joe Bradley in Pablo Picasso’s former studio. 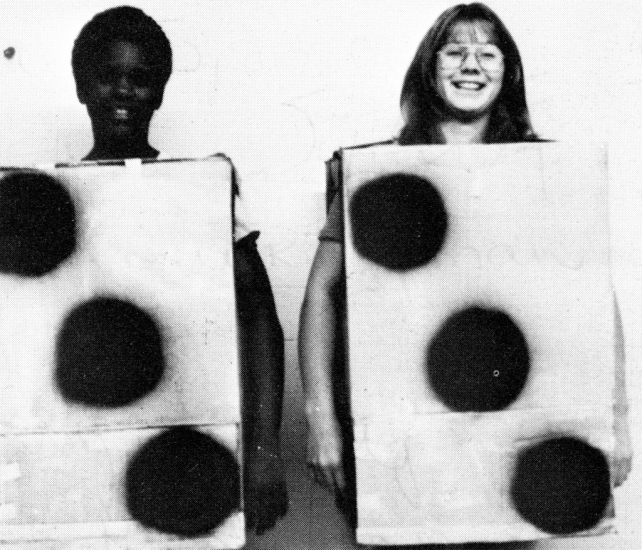 Since the beginning of his career, Joe Bradley has developed a dense pictorial aesthetics, which explores a wide range of techniques and styles, from modular canvases assembled in anthropomorphic shapes and abstract expressionist compositions, to his more cartoonish Schmagoo paintings. 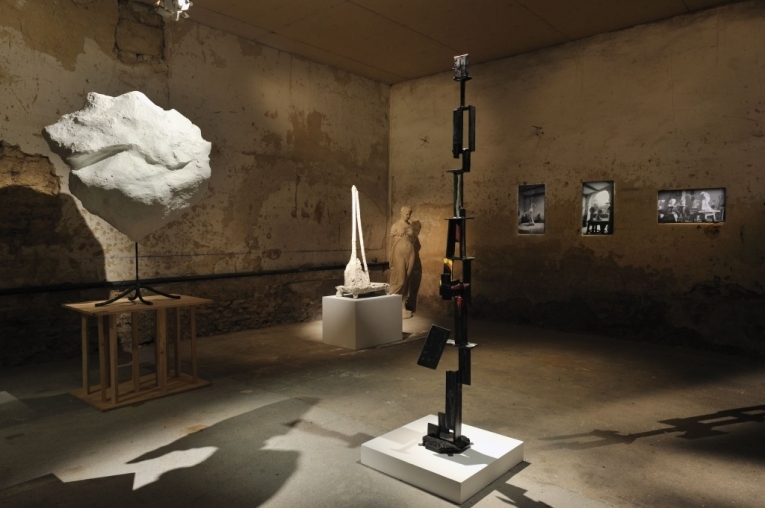 More recently, Bradley has also initiated a sculptural body of works, in which two divergent tendencies seem to coexist: his figurative bronzes based on previously found objects versus the minimalist forms of his monolithic sculptures. Like his “modular” paintings, the artist’s aluminum and Plexiglas sculptures open onto a constructivist alternative. Joe Bradley (born 1975, Maine, USA) lives and works in New York. He studied at the Rhode Island School of Design in Providence, where he received a BFA in 1999. Since his participation in the 2008 Whitney Biennial, Joe Bradley has aroused increased attention. His previous solo exhibitions include BOZAR, Brussels, Belgium (2016-2017); Le Consortium, Dijon, France (2014); PS1 Contemporary Art Center, Long Island City, New York, USA (2006); and ConTEMPorary, New York, USA (2003). His work has also been exhibited in various group shows, such as New York Painting, Kunstmuseum Bonn, Germany (2015); The Museum of Modern Art, New York, USA (2014–2015); The Inevitable Figuration, Centro per l’arte contemporanea Luigi Pecci, Prato, Italy (2013); and New York Minute, MACRO Future, Rome, Italy (2009). In 2017, a monographic exhibition will be organized at the Albright-Knox Art Gallery, Buffalo, USA. with ‘A line drawn from the first star at dusk to the last star at dawn’ (1995) by Lawrence Weiner and the sculpture ‘Mercury’ (2004) by Franz West. 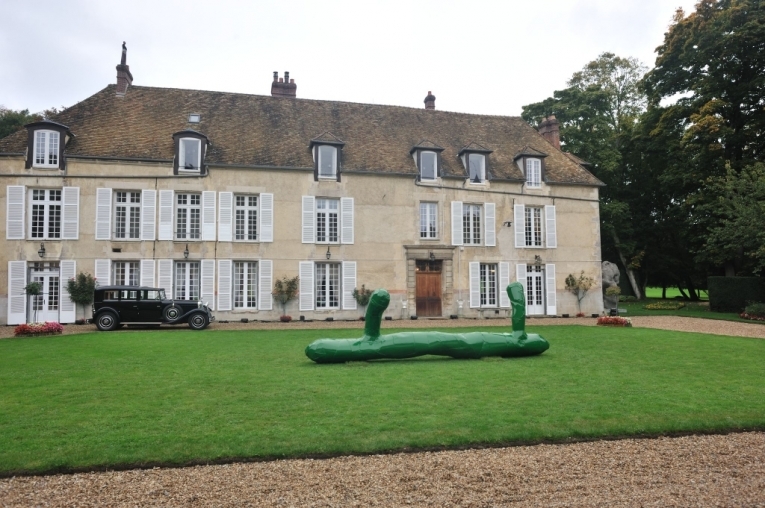 with the Hispano Suiza of Pablo Picasso and the sculpture ‘Mercury’ (2004) by Franz West. On the occasion of the soirée held on 20 October 2012, the Foundation asked the Estates of Franz West, David Smith and Cy Twombly for their permission to present a sculpture by each of these artists in the Boisgeloup studio, works in dialogue with Pablo Picasso’s Head of a Warrior, which he created there in 1933. The Foundation has chosen these three artists for their close ties with Picasso’s sculptural work. These ties are either aesthetically evident or have been substantiated in several interviews and essays, in which these artists have claimed that their study of Picasso’s sculpture led to the emergence of a dialogue with their own work. Outside the studio, in the park of the property, visitors could admire a work by Ugo Rondinone as well as several other sculptures on permanent display. Never before shown films shot by Pablo Picasso were screened in the chapel in the course of the evening. These films capture moments of family life featuring Paul, Olga and Pablo himself.